Vintage Trifari Gold Tone Demi Parure of Necklace Bracelet Earrings circa 1960. 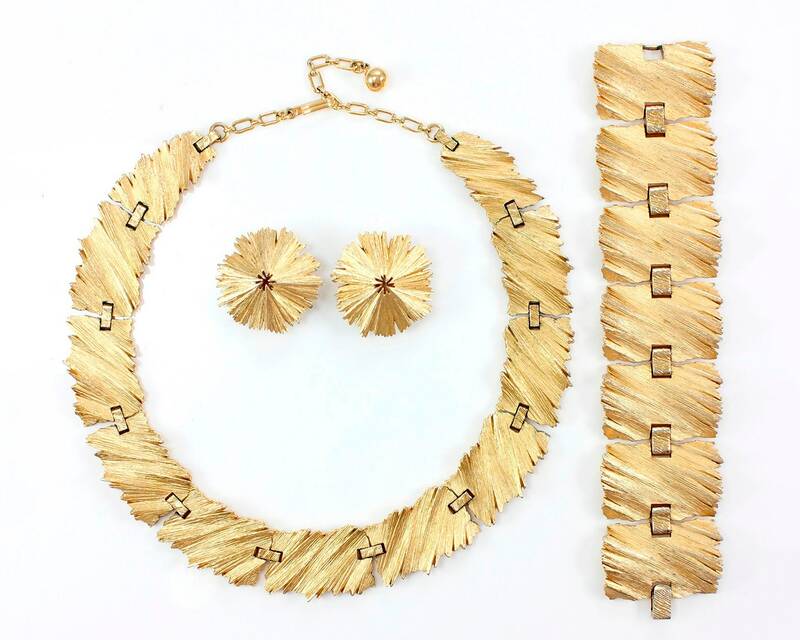 This bold signed set from Trifari features a collar necklace composed of ridge textured rectangular panels brushed with a Florentine finish. 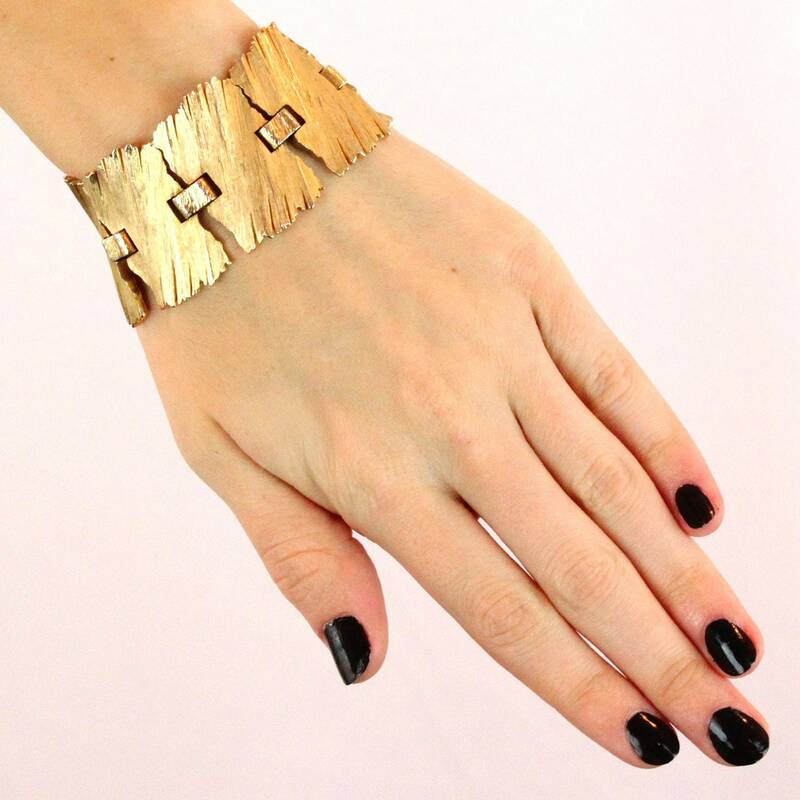 The coordinating bracelet features similar links. The circular earrings have a matching ridged pattern fanning out from an empty center. 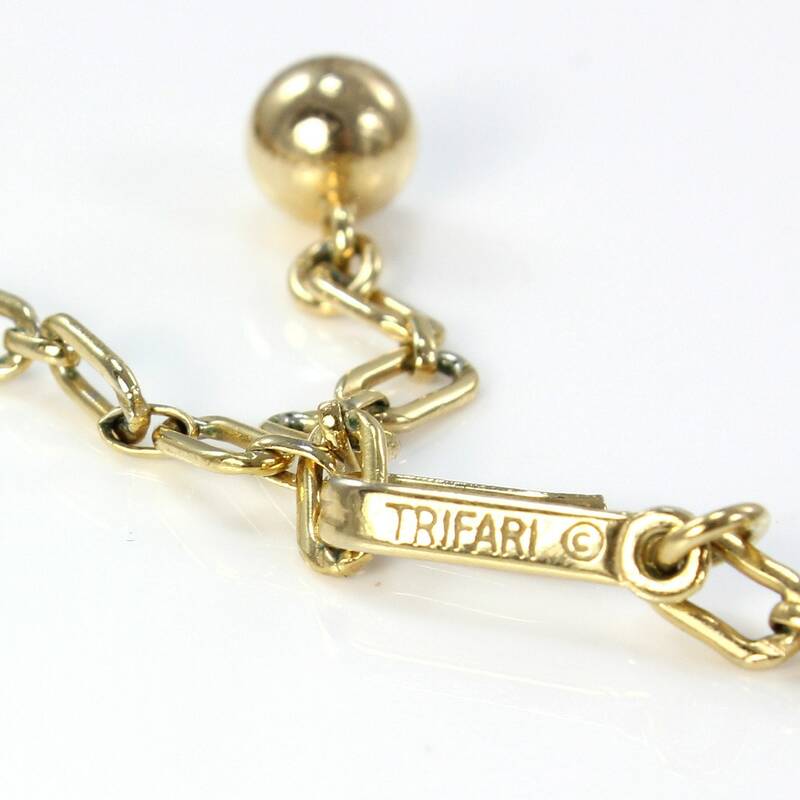 HALLMARK/HISTORY: Necklace hook clasp is stamped "TRIFARI," the bracelet's fold over clasp reads "COPYRIGHT BY TRIFARI" with a crown motif, and the earrings' clip backs sport the Crown Trifari hallmark. CONDITION: Very good vintage condition, with minor surface wear. MEASUREMENTS: Necklace is 16.5" long by 0.81" wide. Bracelet is 6.25" long by 1.38" wide. 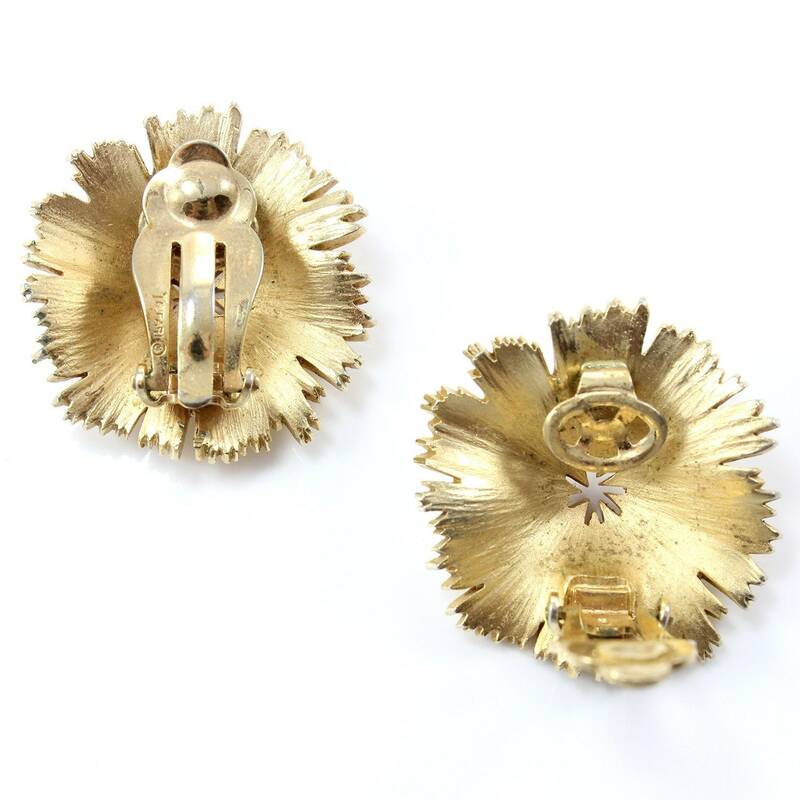 Clip on earrings are 1.19" in diameter.